The Last Machine in the Solar System by Matthew Isaac Sobin is a novella of some ambition. It contains the last reminiscences of a robot called Jonathan, created by Nikolai to witness the end of the Earth and ultimately, the Sun. Endowed with an encyclopaedic knowledge and the brain of a supercomputer, but with human emotional baggage, Jonathan longs for the past and his life with Nikolai, while waiting for the end. There’s nothing new about the all-knowing entity contemplating its existence. Jonathan offers a version of how humanity fails to reach beyond the solar system and ensure its survival. Part will and testament, part travelogue, the Last Machine critiques humanity’s expected failings. In that respect the Last Machine provides little that is new. It is painted using the broad brush of history and contains little detail and no drama. The colonisation of Mars is presented as a major influence on Jonathan’s early life but is soon swept aside. In describing the terraforming of Mars, we find that “trees came fully grown on spacecraft, and some died but some lived.” It’s as if no effort is being given to make a story out of what, at first glance, looked like a worthwhile premise—what if you could live to witness the death of the Sun, what would you see? Instead, what follows is a brief potted history of the evolution and demise of the solar system that fills too few pages. 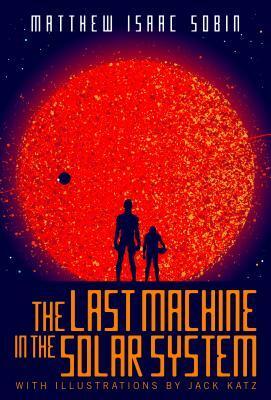 The Last Machine is a rambling mixture of science fiction prediction and philosophical musings. It remains a lengthy exposition with little to recommend it to the discerning reader. For a machine that knows so much, Jonathan ends his time apparently understanding very little and having done nothing to assist a humanity he grows to despise. Yet he hopes his Creator will be seen as a “departed god” by some future race of beings. Its ambitions aside, the Last Machine fails in the end to offer anything other than, perhaps, the folly of trying to outlive the Sun, when there is no one left to read what you have to say.